Decorating for St Patricks Day? Love an all-green Christmas tree? 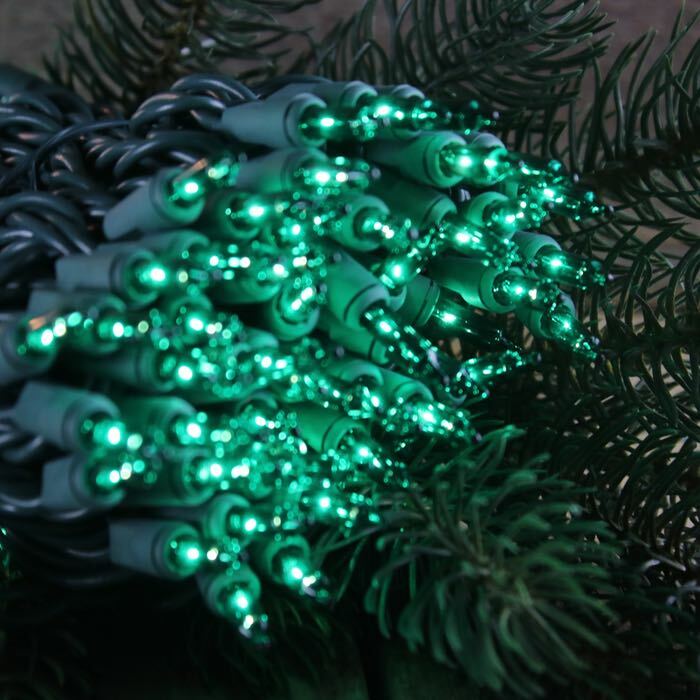 Get lucky with this light string that sports over 33 feet of green light. Constructed in two circuits of 50 bulbs, this set will stay lit if a single bulb burns out and is constructed with a commercial 22 AWG wiring harness. folks who love to throw parties in March! Four-inch spacing provides an optimum ratio of light to wiring and 100 bulbs means a lit length of just over 33 feet. During installation, a maximum of 5 strings can be run in series. Just use a splitter or another extension cord to run more strings of lights. Be sure not to exceed the rating of your household breaker.